When Christie Tucker's son Preston was diagnosed with diabetes, his insulin prescription cost just $40. Now, two years later, Christie is paying $650 for a six-week supply of the medicine. Many people reflexively blame drug companies for Christie's dilemma. But the firms producing Preston's insulin aren't making more money. Insulin list prices are going up, but net prices — the money drug firms actually receive — are falling sharply. The extra cash is instead landing in the pockets of pharmacy benefit managers. Pharmacy benefit managers act as middlemen between drug companies and patients, pharmacists and insurers. They determine which medicines are covered, and at what co-pay or co-insurance level, for 210 million Americans' health plans. 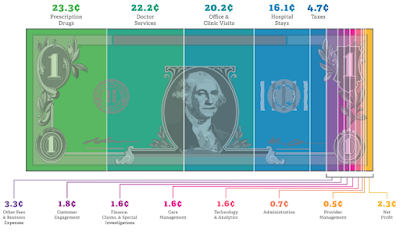 They're abusing this role to rake in enormous profits — at the expense of patients' health. The gatekeeper role gives PBMs enormous bargaining power to buy medicines in bulk. 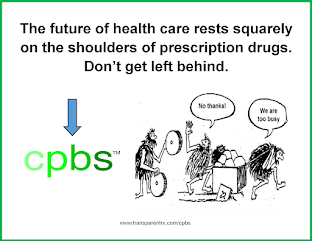 Just three PBMs dominate 70% of the market, and pharmaceutical companies know they will not be able to access millions of patients unless they accommodate the demands of PBMs. With that disproportionate negotiating power, PBMs coerce pharmaceutical companies into offering substantial discounts and rebates. There's nothing inherently wrong with this hardball strategy. In theory, PBMs do patients a great service by securing lower drug prices. The problem is that, in practice, PBMs rarely pass the rebates they wrench away from drug companies along to pharmacies, insurers or patients. PBMs instead hoard the cash. Express Scripts, the nation's largest PBM — which boasted a market cap of $43 billion in early November — has increased its profit per adjusted prescription 500% since 2003. 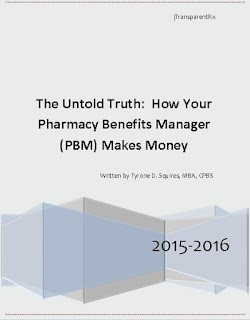 Tyrone's comment: Self-funded employers, and their agents, aren't spending enough time evaluating PBM performance on an ongoing basis. Worse yet, when a PBM's performance is evaluated the wrong metrics are often employed. Claims should be re-priced vs. acquisition costs (not contract compliance or peer experience) every six months to determine the true cost of PBM services, for example. Disturbingly, PBMs are maximizing their negotiating leverage, and thus their rebates, by refusing to cover dozens of lifesaving drugs. Combined, the top two PBMs in the country deny coverage to 239 medicines. When PBMs decrease coverage, patients suffer. Consider the plight of the 400,000 Americans with multiple sclerosis, a neurological disease that causes pain, fatigue and a loss of muscle control. CVS Health, the nation's second-largest PBM, excludes three top multiple sclerosis treatments in order to pressure the makers of other treatments into giving steeper discounts. That's dangerous for MS patients whose doctors purposely prescribed one of those three treatments to help them manage their disease.